The internet functions as the master machine controlling human brain function creating a netocratic society and state. The internet exposure leads to low level EMF fields, formation of supramolecular porphyrions and nanoarchaeal abiogenesis. The nanoarchaea contain magnetite and are magnetotactic and can have quantal perception as well as low level EMF perception. This leads to more of brain endosymbiotic nanoarchaeal growth. The nanoarchaea are capable of methanogenesis which contributes to global warming and further endosymbiotic archaeal symbiosis. 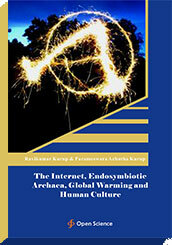 The internet exposure related increased brain endosymbiotic archaeal and porphyrion growth leads to quantal perception and globalisation. The society becomes more anarchic, democratic and equal. The cerebellar dominance leads to impulsive behaviour contributing to criminality and terrorism. The human unconscious dominates leading on to an anarchic world of lawlessness and impulsivity. The frontal cortical atrophy leads to autistic behavioural patterns with individuals becoming neophobic, dogmatic, inflexible and xenophobic. This leads to an epidemic autistic syndrome. The frontal cortical atrophy leads to decrease in thinking and working memory contributing to lack of innovation. There is no technological innovation and slow rate of variability contributing to a static society and later a dead society of zombies.